A survey of 1,436 adults in Venezuela revealed six individuals with persistently elevated creatinine levels, without apparent cause for acute renal failure. Only one of these six was aware of having chronic kidney disease. This was a surprisingly low frequency. In a survey of 23,121 healthy Japanese schoolchildren, only 200 had signs of kidney disease, generally undiagnosed previously, emphasizing the relative infrequency of kidney disease in children. In a large survey of apparently healthy adults in the United States, when the results were multiplied by the U.S. population, 800,000 adults nationwide were estimated to have serum creatinine levels above 2 mg per dl, and 10.9 million to have levels above normal (1.5 mg per dl). Unfortunately, no surveys have determined how many of those surveyed were aware of having a high creatinine level. Defining prevalence in terms of measures whose results are not known to the subjects may be useful for fund-raising purposes, but it is not useful for these individuals' medical care. A striking difference between true prevalence and diagnosed disease was shown in diabetic kidney disease by a report from Atlanta. 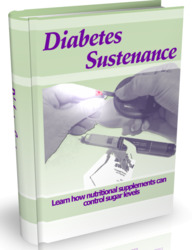 In 1994 the authors reviewed hospital charts of 260 people with diabetes aged 64 to 75. Only 63 percent of the sample had their urine analyzed during their admission. Of these, 31 percent had urine protein of 1+ or greater, indicating advanced kidney disease. Twenty-five percent of the people with diabetes had elevated serum creatinine, but abnormal kidney function was noted in the discharge summaries of only 8 percent. "None [!] of these patients' medical records indicated that they had received dietary instructions about protein restriction, education about avoiding unnecessary use of NSAID's [nonsteroidal anti-inflammatory drugs, see Chapter 19], or education about diabetic renal disease." (These are some of the treatments we'll be discussing later in the book). Angiotensin-converting enzyme-inhibitors (ACEIs) or angiotensin-receptor blockers were no more likely to be used in those with abnormal renal function than in those without, despite the fact that these drugs are now widely recommended for patients with kidney disease (see Chapter 9). Thus most of these patients and their physicians apparently were unaware of the presence of renal disease and so did nothing about it. A similar study of diabetic Medicare beneficiaries was reported from Seattle. Of 785 diabetics, 38 percent had urinary protein of 1+ or greater. But only 26 percent of patients known to have diabetic kidney disease and without contraindications to ACEIs were treated with ACEIs at discharge. A recent report by Italian nephrologists documents similar findings. 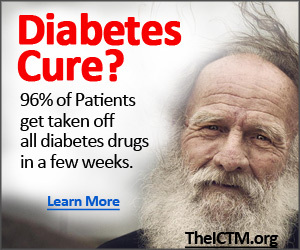 They reviewed the charts of 288 diabetics seen at a clinic in 1997. Although blood glucose was recorded in 99 percent, serum creatinine was recorded in only half and urine protein was seldom checked. According to a recent summary, "30 percent to 40 percent of ESRD patients enter ESRD treatment only after an emergency-room visit triggered by undiagnosed renal failure." The authors conclude that "the pre-ESRD population is remarkably poorly followed." "an alarmingly poor quality of pre-ESRD care among patients beginning dialysis in United States." Clearly this circumstance accounts in part for the high morbidity and mortality of ESRD patients in the United States. The authors were unable to explain the reasons for their findings. 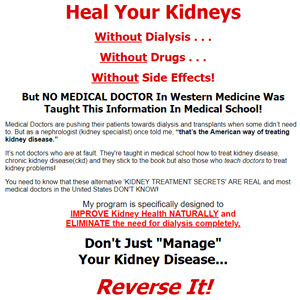 One factor may be the official government attitude toward pre-dialysis care, which is well illustrated by a recent pamphlet for the general public entitled "Kidney Failure: Choosing a Treatment That's Right for You" released by the National Institute of Diabetes and Digestive and Kidney Diseases. The pamphlet describes dialysis and transplantation but makes no mention of predialysis care. However, the National Institutes of Health has started a program with the express purpose of education in predialysis care. It is clear that early renal insufficiency is still widely ignored in the United States.